A song gets stuck in your head. A book makes you cry. 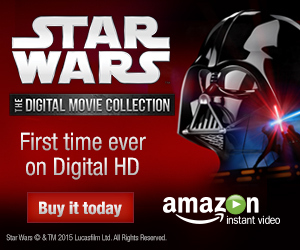 Great entertainment -- or a multiversal monster taking control of your mind? In Final Crisis, Grant Morrison implicated the reader in the unwitting near-destruction of the multiverse due to our need for tightly-defined comics continuities. In The Multiversity, Morrison takes it a step farther, positing the reader as the ultimate villain responsible for every indignity any hero has ever faced. When Doomsday beats Superman to death or Bane breaks Batman over his knee, the superheroes have you to blame. And now they know it. Multiversity finds Final Crisis's final multiversal Monitor, Nix Uotan, responding to a distress call from Earth-7 (an analog for the Ultimate Marvel universe), where he's turned evil by the villainous Gentry and set against the universes of heroes he's meant to protect. Uotan emerges "having fought and ... suffered for eternity upon eternity. And for what? ... For you ingrates?" As is often his wont, Morrison (in the first chapter, with artist Ivan Reis) turns the camera so Uotan's dialogue is spoken not entirely to the gathered heroes, but also to the audience, and it's clear from the outset we've done something wrong. And what we've done is threaten the multiverse's greatest heroes with serious harm, if not outright oblivion, no less than four Wednesdays a month, twelve months a year, for seventy years or more. There are the Gentry, ultimately the series's minor villains sent from "our" world to attack the others. There are the "endless event[s]," doomsdays, and crises (moreover, infinite "Crises") that are constantly unleashed on the worlds, "a conclusion that never comes but continues to arrive." And then there is the threat of the Oblivion Machine by way of the evil Empty Hand, "the final chapter of your never-ending story." It is the time in which superhero comics might cease altogether, a possibility that seems sometimes remote and sometimes all too near, and which would require the complacency of every one of us to come to pass. Morrison personifies all of this in Multiversity; the heroes meet their existential threat, and their existential threat is us. The conceit in Morrison's Multiversity is that each of the seven Multiversity specials published between Multiversity #1 and #2 are both stories in their own right and also comic books that exist in the other titles, even including the Guidebook companion. It all forms a kind of cosmic meta-fictional chain letter across the book, predicated on the idea of Golden Age Flash Jay Garrick's adventures being a comic book on the world of Silver Age Flash Barry Allen in the classic Flash #123, "Flash of Two Worlds!" The heroes come together in Multiversity's first issue in a scene intentionally reminiscent of the same in Crisis on Infinite Earths; that continuity, never fully recovered, is likely the Multiverse-2 that the Empty Hand suggests was previously destroyed, the appending of "2" on an earlier continuity echoing the labeling of the Golden Age Earth "Earth 2." The Multiversity specials include Ultra Comics, said to be from "our" world, Earth-33, and also variably cursed or haunted. The book is the site of Multiversity's defining idea, that these books are indeed "real" and that all our fiction are indeed missives from other universes, which taken to their extreme can actually be weaponized. It's a nice fantasy that begs to be immediately dismissed, but I can't deny it's stuck in my head a little bit since I finished reading. When one considers that yes, you hear characters' voices in your head as you read; that yes, you can find yourself humming a song you heard on the radio hours earlier; that yes, letters put together into words and words put together into sentences in black and white on a page can make you laugh or cry, incite anger or promote understanding, then it's not such a stretch to see intent in it all. The artist wants you to feel this way, and you do. That is not mind control from beyond (or is it? ), but not for the first time Morrison wraps a lovely treatise on the power of art and fiction into a rock 'em, sock 'em superhero tale. It's a fine thing to read Multiversity all in one volume, and in this way Morrison's Multiversity improves on his Seven Soldiers of Victory, the modular story it so closely resembles structurally. Seven Soldiers was itself a triumph but threatened sometimes to bow under its own weight (especially for a reader trying to negotiate the original four trade paperbacks). In using specials, Multiversity offers plenty of variety but not too much heft, and neither does it feel too short. By dint of the storytelling, many of the specials read surprisingly long, especially Society of Super-Heroes, The Just, Pax Americana (most of all), and Thunderworld Adventures. Of them, the pulp-y Society of Super-Heroes is wonderfully stylized with its text pages, scrappy Doctor Fate and the Atom, and Spock-esque Abin Sur. Forget The Just's story; Morrison's panel-by-panel cameo of every Young Justice-type sidekick or replacement hero (plus Bloodwynd!) makes it a comic I'd happily read regularly. Pax Americana, with artist Frank Quitely, is the whole book's best, with Quitely's grid paneling, Morrison nailing Watchmen's coldness, and a subtle mystery hiding on the page. Equally I liked Thunderworld, more to an extent a classic Captain Marvel story than a Multiversity one, but that's fine with me especially since the characters continue immediately in to the Guidebook. I found less effective Mastermen, which does follow most directly from Final Crisis, but focuses more on the German "New Reichsmen" than on the Freedom Fighters, whom I found more interesting; it's also hard to pity the Superman analog Overman who's renounced his Nazi upbringing but still rules with an iron fist. And despite Ultra Comics's unique set-up, I admit to confusion more than anything else in reading it, with the cannibal children et al. Though, in some kind of post-meta-metafiction, Morrison is well ahead of both fans and critics, teasing "Don't worry, Ultra fans! It's not going all weirdness for weirdness' sake" (and later, in Multiversity #2, that the audience is "missing stuff by reading too fast," though I tried, dear author, I tried). In total, however, Grant Morrison's Multiversity is glorious, a fine sequel to Final Crisis and surely something special in its own right (the deluxe edition is highly recommended on the Collected Editions 2015 Comics Gift Guide). 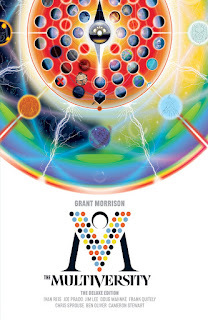 The recently-announced Multiversity Too series of graphic novels seems to me the perfect way for Morrison to continue to expand the concept, not miniseries or series of specials that require a lot of commitment, but just good one-offs in the style of the best of Multiversity. So long as Morrison keeps writing those and I keep buying them, maybe we can stave off the Oblivion Machine for some time longer. "In Final Crisis, Grant Morrison implicated the reader in the unwitting near-destruction of the multiverse due to our need for tightly-defined comics continuities." I'm not saying you're wrong, but I have no idea how you came to that conclusion. "Through the omnipresent Monitors of DC Comics mythology, Morrision directly implicates the reader in a failure of imagination. Morrison describes in Superman Beyond that the Monitors had no concept of story or imagination until they encountered the DC Universe (in the artwork, we see specifically Crisis on Infinite Earths). The power that imagination might have, Morrison writes, on the Monitors' 'immense awareness without limits or definition' is so great that they built a statue of impenetrable metal around the concept such that story-telling ought not spread unchecked 'like contagion.' Morrison, who himself proceeded to ignore the 1985 'no more Multiverse' edict in his run on Animal Man, points his finger at the reader just as his fourth wall-breaking characters often do -- so afraid were we of the power of infinite possibility that we allowed a twenty-year walling off of DC Comics' Multiverse concept rather than let our imaginations run wild." So......should I read Final Crisis before this? I'm going to say "probably," weighted very heavily toward "yes." Ostensibly you can get everything you need to know just from Multiversity; I'm trying to avoid spoilers, but you'll generally understand from the book that this person has this job as relates to the multiverse and they get a distress call, etc., etc. In the Multiversity issues proper, the events of Final Crisis are referenced, but obliquely, and the only story to really go at some events of Final Crisis directly is Mastermen. Even then if you're generally familiar with the big touchstones of the DCU (and I'm sure you are, as regards this one), you can probably pretty well fill in the blanks on your own. But, with all due respect to Grant Morrison, that means dropping yourself in the midst of a Grant Morrison story and trying to follow not only all the sideways references to any number of things (the Marvel universe, the Image universe, Watchmen, a political mystery, etc. ), but then too trying to glean by osmosis also the events of Final Crisis. It's not impossible, and there's probably a fine reading experience to be had just reading Multiversity, but picking up Final Crisis first will put you a few steps ahead when you read Multiversity. I wouldn't have wanted to read Multiversity without Final Crisis (also, Final Crisis is great). Finally after nearly I year I read Final Crisis and now this. I'm not sure if it's me finally getting used to Grant Morrison, but I loved this so much! Multiversity had such a great start, and I was surprised at how often I'd find myself liking the issues I thought I wouldn't have. So much stuff was in this, and I really did like the reader interactions bits he put in there, especially towards the end. I can't wait for the day I try to read Final Crisis and then Multiversity back to back. My brain would be all too fuzzy by the time I'm done with that. I was trying to wait for the SC, as I try to avoid HC's as they don't fit on the shelf as well - but damn. I have to get this don't I? The back matter sounds like it's worth it. I might not go in for the back matter alone, but I did really enjoy this book. Though I've often had trouble myself finding good places for deluxe editions on my shelf, since they sit even higher than hardcovers. Interesting you interpret Final Crisis levelled at readers, I always saw the monitors as the DC editors who oversaw the decision to jettison multiverse continuity. With Multiversity commenting on the power of the reader to shape the fictional world and Seven Soldiers the guilt Morrison feels as a writing weaving characters' fates it makes the three works a nice trilogy on the threats the inhabitants DC multiverse face. You're figuring Multiverse-2 as post-52 (the weekly series), pre-Convergence, or post-New 52, pre-Convergence? Because the latter would seem to me a very small space, though I haven't read Convergence yet to know for sure. I can see Final Crisis as leveled toward the editors. Equally I think there a vein in Multiversity that you could mine as Superjudge not being the voice of the heroes haranguing the audience, but rather Superjudge-as-Morrison haranguing the audience ("Eons of pain and disillusion. For you ingrates?") and the audience as the landlord wanting "no more byzantine implausible excuses." In this way, it's us knocking on the door of Morrison, the writer (so if in Final Crisis, Morrison goes after the editors, then I still think in Multiversity, Morrison in some way goes after us). Glad to hear your alternate theories; thanks. Yes, the weekly series 52, not New52! Sorry, I don't think I explained myself very well, I whole-heartedly agree that Multiversity is levelled at the readers (in fact Grant has said that in iinterviews since the collected edition came out). It's Final Crisis that I see as being the editors, but since I'm sure Nix Uotan is Morrison in a fiction suit in both I think either interpretation is valid. As always with new Morrison trades he inspires me to go back and read his older stuff again, and it's interesting that his first discussion of these meta-fictional threats in Animal Man he doesn't distinguish whose 'fault' it is for the loss of characters, their statements could apply mostly equally to readers, writes or editors. But anyway I also appreciate the alternate interpretation :) Either way I certainly recommend going back and reading Seven Soldiers, Final Crisis and Multiversity together as they from a really nice thematic trilogy as well as narrative trilogy for Darkseid. I like how Darkseid is right around the edges of Multiversity; like, Darkseid is never a threat right on the page, but you know Nix Uotan did a bad thing letting him out, and like, as far as Morrison's works are concerned, I kind of always feel like every bad thing is really Darkseid even when it's not specifically labeled as Darkseid. Which leads me to say, in the common grouping of Seven Soldiers, Final Crisis, and Multiversity, I think Batman: Return of Bruce Wayne -- wherein Darkseid is cast as every bad thing ever -- is criminally overlooked. It is itself a treatise on the symbiotic relationship between writers and their characters, especially serial superhero characters, aside from being a time-traveling Batman story -- "Whatever they touch turns to myth" and so on. I linked to my original review above. Along with the others, Return of Bruce Wayne is right up there with the same traditional Morrison themes. Agreed, the gravity, both metaphorical and literal of Darkseid's fall and the ripples it creates through all four works is wonderful. (I love, love, love the suggestion that Darkseid's interim appearances were images of him rather than the real thing, as Final Crisis shows he influences throughout time it's a wonderful invitation to create your own Darkseid headcanon.) I wonder if Morrison will ever pick up Darkseid's return considering he's talking about running out of steam for DC/superhero stories, but then the whole of Multiversity was about purposely leaving things unfinished, rather like the end of Batman Inc. Thanks for sharing the review, I did read it back when you first posted, but being some years ago it's good to refresh! You're right I do tend to forget it's greater significance as part of Morrison's thesis. Equally I love RIP's Missing Chapters, easily dismissable as unnecessary, but they add the story-myth overtones which ties RIP's study of Batman stories to the study of stories in general in Final Crisis. Re-reading your review, something strikes me re: Batman being the Orion of the Fifth World - in Return Darkseid is trying to use Bruce for evil via the hyper-adapter, much in the same way he sent his son to New Genesis, presumably hoping he would negatively affect that world. I thought it was a nice reflection, maybe you'd noticed in before. Finally, going back to Multiversity, and SPOILERS for anyone following this conversation who hasn't read it yet - it took me until my second read through to realise that the empty hands were Nebula man's because Nebula man is Qwewq - our universe - the reader personified. Maybe that was obvious to everyone else? Was not obvious to me. Though now I'm trying to wrap my head around that. The personification of our universe is what was testing the powers of the multiversal heroes? Why? Is that what we do when we read comics (or, for instance, play games of "Who would win if ...")? Or was there an in-story reason for the trials of Multiversity that we just don't know yet? Maybe a feature, maybe a bug, but the end of Multiversity seems highly metaphorical, as if there's no "culprit" really that Superman's getting a team together to fight beyond the metaphorical "reader-as-bad-guy." I think we readers only do that in the sense that our appetite for more stories demands more conflicts. Unless the multiversal corpse is that of the New52 multiverse, there was a lot of demand for DC to bring in their next reset button and wipe that away. Otherwise we readers don't generally threaten multiverses or characters the way editors and writers do. We tend to demand not to have a beloved character killed or to have one brought back. I agree it's not a very satisfactory conclusion from a narrative perspective, Final Crisis and Seven Soldiers etc had a satisfying narrative closure as well as metaphorical. But as it brings the metaphorical angle full circle as I've argued above and it matches the feel of the individual issues of starting but not finishing narratives, I give it a pass. Just!